This year's Geneva Motor Show was really something else. 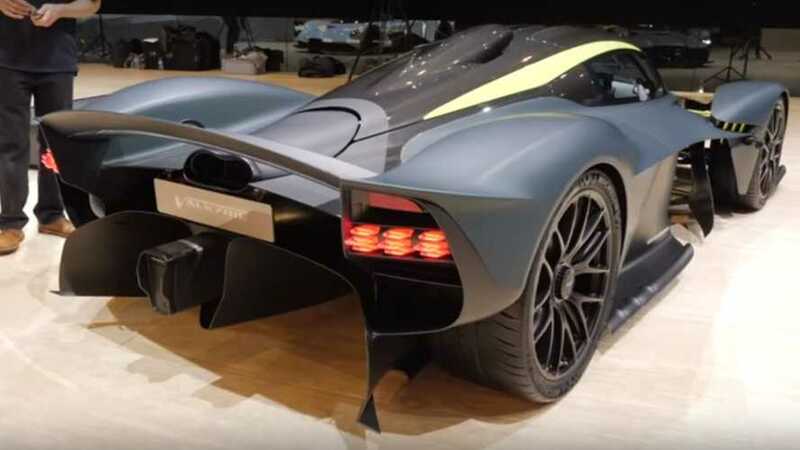 Something lost in the fuss of AM-RB 003 on the Aston Martin cabin was the new Aston Martin Valkyrie. Like AM-RB 003, it is the brainchild of Red Bull Formula 1, Chief Technical Officer Adrian Newey. This YouTube video from Carfection gives us the gleam of Aston Martin's new mid-engined halo hypercar. The Valkyrie engine produces an incredible 1,160 horsepower at a straight stratospheric 10,500 rpm, only 500 rpm. Short for the naturally aspirated 6.5 liter V12s 11,000 rpm. Redline. Torque numbers are quoted at 664 lb / ft at 6,000 rpm. There is also an on-board hybrid power system, an electric motor that can deliver 160 hp and 206 lb / ft of torque using a Formula One-inspired KERS-style boost system. Carfection's Henry Catchpole was invited to the Red Bull F1 World Headquarters in Milton Keynes, England. Though threatened by all Formula One trophies and hardware on the display, he was not distracted from his primary purpose of being there. The whole purpose of this day's trip was to drive Aston Martin Valkyrie on the Red Bull's Formula One simulator around Circuit de Spa Francorchamps. The simulator itself is an incredible piece of work utilizing an actual Red Bull F1 chassis and coded and programmed completely internally. While Red Bull and Aston Martin were very vigilant about some of the information retrieved from the exercise, they provided two interesting facts. Henry reached an amazing 210 miles per hour at the end of Kemmel, and lap times were somewhere in the LMP1 car area, despite being on the street deck. In short, the production Aston Martin Valkyrie, when it finally sees production, will be far more than just another hypercar.